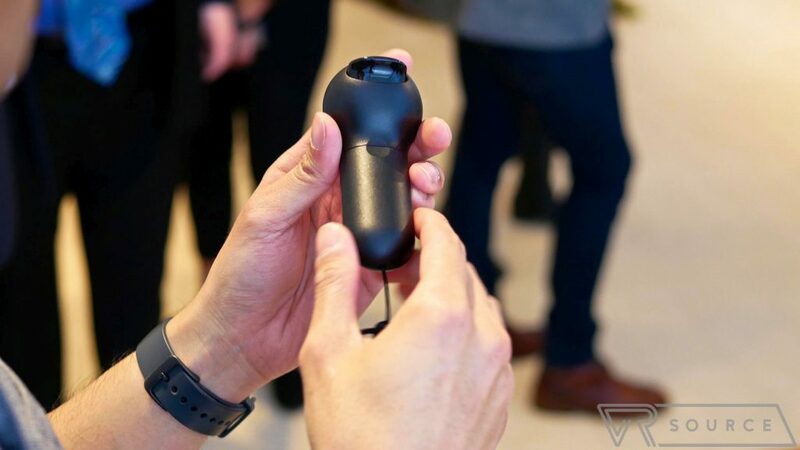 Back at MWC, we got our first look at the new motion controller for the Samsung Gear VR. We got a good feel for its ergonomics, but that was about all the exposure we managed to get in such a short period of time. In fact, we really didn’t see it in action, or how it was going to be utilized in the VR world. Now that Samsung finally unveiled its flagship smartphone, the Galaxy S8, at its Unpacked event in New York City, we’re beginning to see the new experiences coming to the updated Samsung Gear VR, courtesy of its new motion controller. First and foremost, this isn’t the same Samsung Gear VR headset that was unveiled alongside the the Note 7 back in the fall. 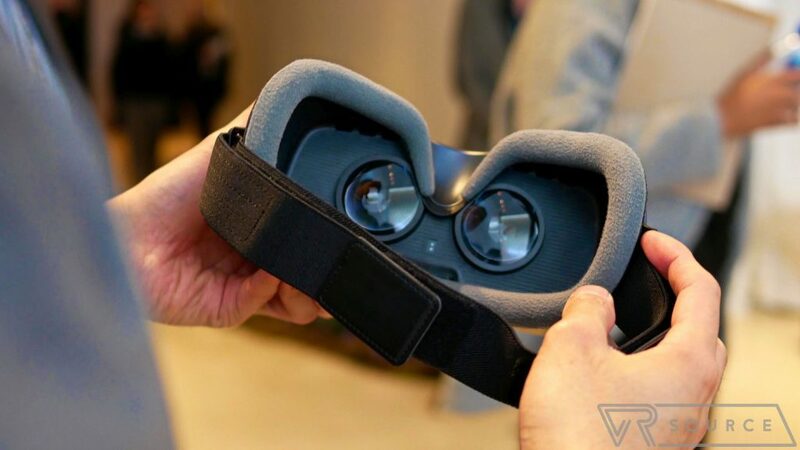 However, the overall look and feel is a pretty familiar one, where you have the same single strap wrapping around the head which supports the headset – very similar to the design of the Google Daydream View headset. After we tried it on, it’s definitely beneficial to place the strap a bit higher around the backside of your head, so that it doesn’t sag as you’re wearing it. Besides that, everything else is pretty much identical to what we’ve seen before, including the controls on its sides. This new Gear VR headset is compatible with the Galaxy S6, Galaxy S7, Galaxy S8, and the Galaxy Note 5. Trying out the new motion controller for the first time, it won’t surprise anyone that has used the Daydream View, as it’s essentially an extension of the VR experience – enabling us to do things like wield weapons in battle, move objects or fire a weapon. We tried out a zombie game set in first person view, and just as you’d expect, you hold the motion controller to aim your weapon and fire using the analog trigger. There’s not a whole lot different with the motion controller’s purpose here, but we prefer its ergonomics a bit better because of the placement of the trigger at the end of the controller. Of course, it’s able to track all kinds of motion – such as tilting it in all sorts of angles. For the most part, the controller seems to stay in a relatively isolated area in the VR world, so in the case of the zombie game we were playing, it was around the lower right section. Given that the Samsung Gear VR has seemingly become the most popular mobile VR headset, the addition of the motion controller should make things even more interesting. It already lays claim to some of the best mobile VR experiences out there, so we’re curious to see how Samsung and Oculus can elevate the experience even more. The new Samsung Gear VR is going to be available in Orchid Gray when it launches, but sweetening the deal even more is that it’ll be bundled with the motion controller. For those that want the new Gear VR and touch controller, Samsung is planning to include it, alongside a free game pack from Oculus, with all Galaxy S8 pre-orders, which launch tomorrow (March 30) in the US.